The story from the other side. 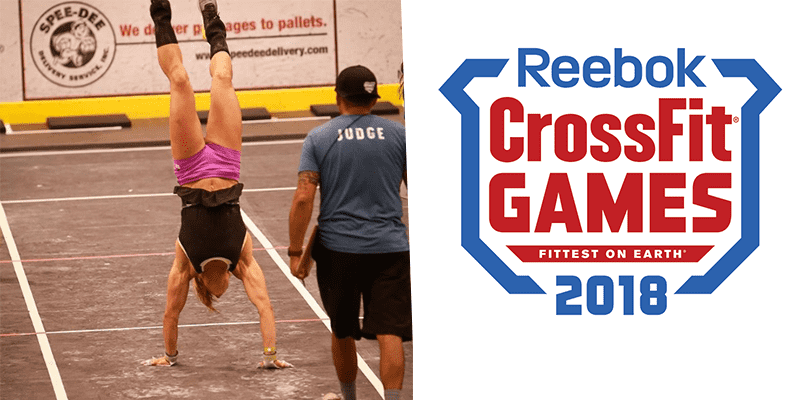 Recently, Masters Athletes Kelli Holm (Women 35 – 39) and Shawn Ramirez (Men 40 – 44) both tested positive for performance enhancing drugs and each received a sanction from competition from CrossFit Inc. The athletes tested positive for Endurabol, a PED that Australian Ricky Garard was banned for in 2017. Kelli Holm subsequently had her sanction reduced after the appeal process. BOXROX spoke to Kelli about the whole process and what happened. Hey Kelli, can you tell us a bit more about your background in CrossFit and how you got into the sport? I competed in gymnastics and track & field through high school, and ran marathons in my 20s. A couple years after the birth of my second child, I was looking for something different. A friend invited me to try CrossFit and I was hooked after one class. What have your experiences at The CrossFit Games been like so far? I’ve had really positive experiences. I don’t compete often, and the 2017 CrossFit Games was my first individual competition ever. That made it uniquely stressful, but also uniquely educational – I learned SO much about myself as an athlete, my strengths and weaknesses, my mental game – not to mention learning a lot about how those competitions are run and all the behind-the-scenes. It was really overwhelming. It also gave me a lot of direction and specific goals going into the following year, and 2018 was much more enjoyable. 2017 was all about coming back from the birth of my third child, but 2018 was about filling holes in my fitness and making more specific improvements. Also, I already had relationships established with many of the women in my division, and those friendships added a unique element of camaraderie and enjoyment for me this year. How did you feel when you received the email from CrossFit informing you that you had failed your drug test for the 2018 CrossFit Games? I was horrified. And so confused. It’s that weird twilight zone where you cannot believe that it could possibly be real, but also fully know that it is. I was completely at a loss for what to do. Why did the test register you as failing? I failed the test because there was 0.02ng/mL (20 trilllionths of a gram) of metabolites of GW1516 detected in my sample. Can you give us more background on what happened with the contaminated supplement? Sure. The supplement found to be contaminated was the preworkout powder I used during the CrossFit Games. I don’t use preworkout in training, but use it only when I compete. (I allow myself one cup of coffee in the morning, but otherwise I intentionally do not consume caffeine so as to maximize its effect when competing.) On July 24th, a few days before leaving for Madison, I purchased the canister from a local store near my home. I used it prior to my events during the 4 days of competition at the Games. Upon receiving the email from CrossFit, I contacted a lawyer and one of his first suggestions was that I gather up all the supplements I was taking during that time and send them in for testing. Obviously, some of those things (multi-vitamines, etc.) had already been consumed and discarded, but the ones I still had were shipped out for testing. The cost of supplement testing is quite high, so we tested only a few things at a time. The first round of testing was all negative results, but the second round had one product tested positive – that was this preworkout powder. Best of luck 🍀💪🏼 to all my friends competing @thegranitegames this weekend! 😃 Can’t wait to watch you all throw down! 🏋🏼‍♀️🏊🏼‍♀️🤸🏼‍♀️🏃🏼‍♀️Have so much fun!!! How do you feel going forward from this? What are your future plans in the sport of CrossFit? Gosh…I feel a lot of different things, depending on the day. J I still feel sad at how unfortunate it all is – sad for the loss of competing and the goals that came with it, sad for the potential misrepresentation of my name and integrity. And I feel frustrated with the lack of regulation around such a large, powerful industry. However, I also feel extremely grateful. My family and friends and coach have been more supportive than I could have ever imagined – just consistently solid and willing to wade through the muck with me. I’m grateful that we found the source of my contamination and, thus, the reason for my positive test. I think the agony of going to my grave never knowing how this happened would have been extremely challenging, and I am fortunate to have found an answer to that question. The cost of testing supplements and legal fees that accompany good representation are considerable, and I’m grateful that my husband has been equally as motivated (sometimes more!) to fight my case. As for my future in the sport, I plan to continue training as much as is healthy and reasonable for my young family. I love CrossFit and hope to continue my involvement in training and coaching for many years. I haven’t thought much beyond that, and can’t say for certain if I’ll return as a competitor or not. What are your thoughts about the recent changes to the CrossFit season? I think change is uncomfortable. However, I trust that these changes are well thought out, and that CrossFit has a long-term vision that makes sense and is good for the community and for the athletes. It may take a season or two for them to work out the details. I’m not sure I agree with how they’ve rolled it all out and the way they’ve kept the public in the dark about so many aspects, but that isn’t really relevant to my feelings about the changes themselves. People will work with it and adapt and I’m sure it will be just fine. What was it like to train whilst pregnant? Ha – this feels like it could be an entirely separate interview topic. Training during pregnancy was great. I’m a person who doesn’t especially enjoy being pregnant, but I was fortunate to have smooth, uneventful pregnancies, which allowed me to maintain a fairly high level of activity. I ran marathons and half-marathons with my first two pregnancies, but I didn’t begin CrossFit until prior to my third. I had a super supportive doctor, a very knowledgeable, supportive coach, and I knew enough to not be fearful of training. I can honestly say that coming back after the birth of my third, I felt much stronger and recovered much faster than after the first two (where I was primarily running). I felt far-and-away better during and after my CrossFitting pregnancy. How did you adapt your training during this time? My body was the primary indicator of when and how to adapt. It helped that it was not my first rodeo, so I understood the pregnancy process and what was “normal” versus what felt different to me. I really didn’t need to adapt much at all until the later months, as my belly got bigger and my joints loosened up more. But my coach was vigilant about watching my movements and adjusting when necessary in order to keep things safe. Thank you so much for your time Kelli.